Let’s look at tiling patterns and think about area. 1.2: More Red, Green, or Blue? Your teacher will assign you to look at Pattern A or B. In your pattern, which shapes cover more of the plane: blue rhombuses, red trapezoids, or green triangles? Explain how you know. You may use this applet to help. Explore what you can see or hide, and what you can move or turn. 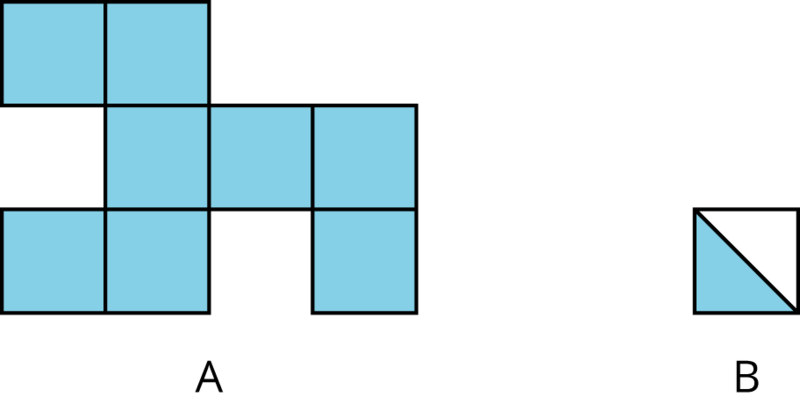 The pattern has at least two different shapes. The same amount of the plane is covered by each type of shape. 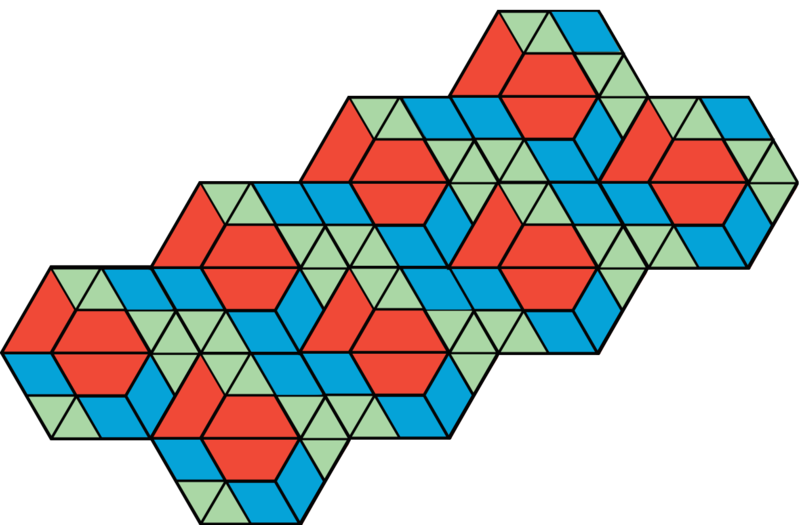 In this lesson, we learned about tiling the plane, which means covering a two-dimensional region with copies of the same shape or shapes such that there are no gaps or overlaps. Then, we compared tiling patterns and the shapes in them. In thinking about which patterns and shapes cover more of the plane, we have started to reason about area. We will continue this work, and to learn how to use mathematical tools strategically to help us do mathematics. 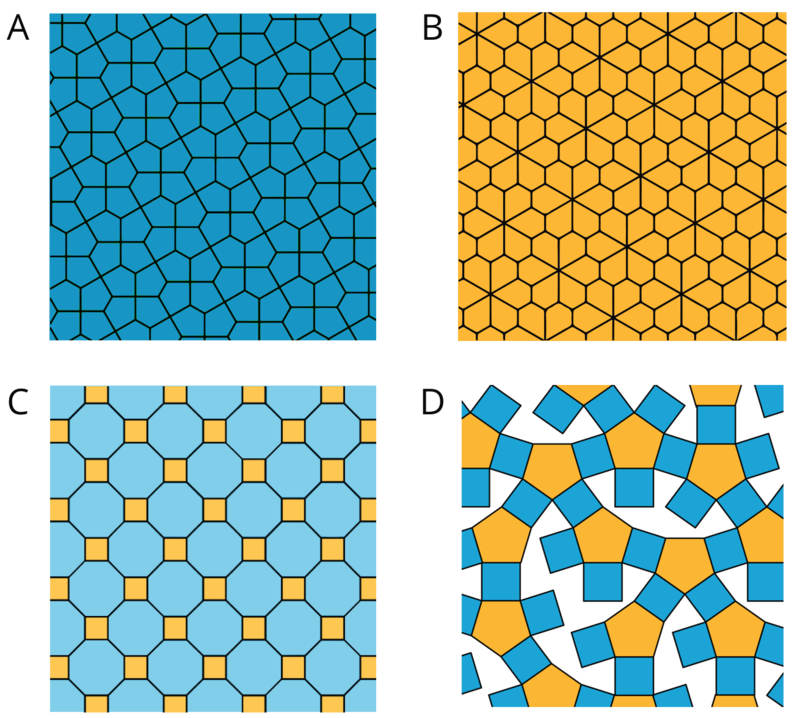 Examples of two-dimensional regions include the interior of a circle or the interior of a polygon. 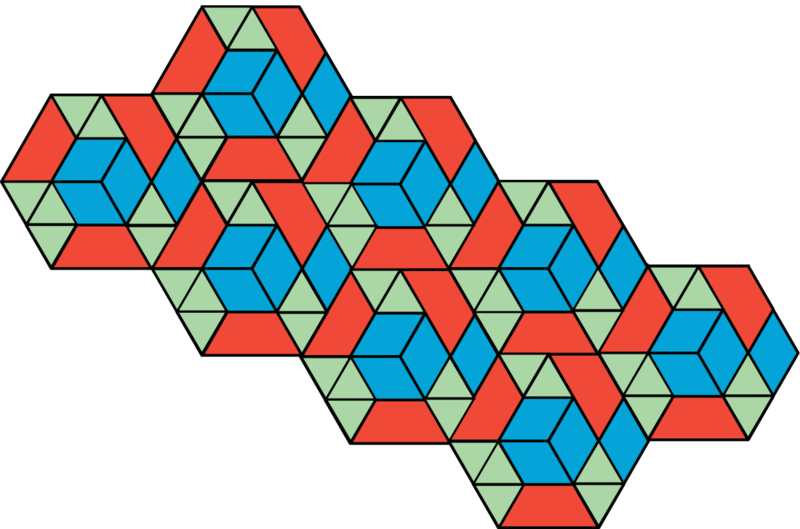 Here are two examples of two-dimensional regions. Area is a measure of two-dimensional regions. Examples of a three-dimensional region include the interior of a sphere or the interior of a cube.